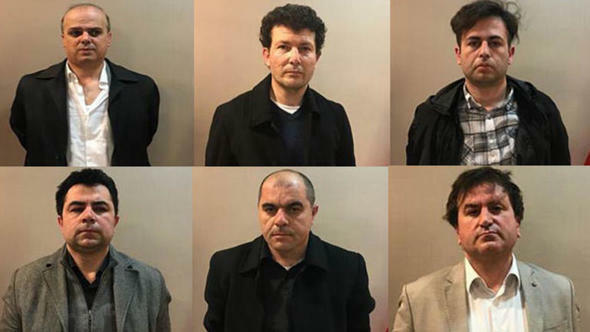 Six poeple who were arrested in Kosovo on Thursday, were brought to Turkey in a joint operation by the Turkish and Kosovar intelligence services, several media outlets reported. Security sources told the state-run Anadolu Agency (AA) that the suspects, named as Cihan Özkan, Kahraman Demirez, Hasan Hüseyin Günakan, Mustafa Erdem, Osman Karakaya and Yusuf Karabina, were brought to Turkey via a private aircraft by the National Intelligence Organization (MİT). Kosovo police early on Thursday arrested the Gülenists who used to work at a group of schools affiliated with the Gülen group, which is accused by Turkish President Recep Tayyip Erdoğan of masterminding a failed coup attempt in 2016.